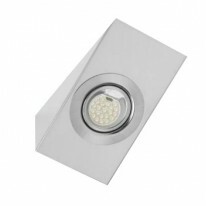 70178The Aether is an LED, surface mounted under c..
70180The Aether is an LED, surface mounted under c..
70177The Aether range is an LED, surface mounted u..
51918The Aqualine premium kit has all the function..
52311Aqualine is a 24V water resistant LED flexibl..
52312Aqualine is a 24V water resistant LED flexibl..
73711IP67 flexible LED strip lighting kit. Energy ..
73710IP67 flexible LED strip lighting kit. Energy ..
52653The Pepa is a small and discreet undercabinet..
52306Flexline is an indoor LED tape; an energy eff..
52305Flexline is an indoor LED tape; an energy eff..
59856The Hera single fitting is designed as an acc..
60531The Marci is a unique under cabinet lighting ..
67672The Marci is a unique under cabinet lighting ..
59880The Nyx is a single, LED surface mounted unde..
59878The Nyx is a single, LED surface mounted unde..
59879The Nyx is an LED, surface mounted under cabi..
52657The Picard is a high performance fitting with..
52659A super sleek premium undercabinet light, wit..
Undercupboard Lighting is a new concept which places tube lighting under cupboards to bring additional lighting to your kitchen work surfaces. This modern technique has seen a large increase in the modern market lately as when the concept is done correctly, it provides a beautiful outcome. This in which is very fortunate as Lumination only sells the best for this effect so you won't be let down by dodgy lighting placements. The range we stock may seem small but they are the best to pack a punch which is why we have chosen them for our loyal customers.